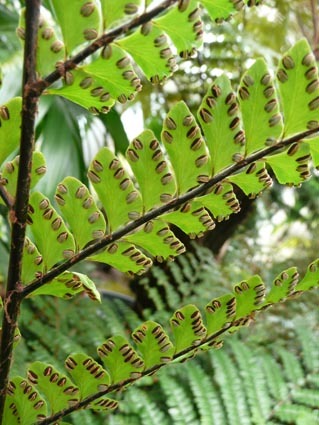 This is one of a series of short articles about ferns in the Belfast Botanic Gardens, compiled by members of the Friends group and Gardens staff. 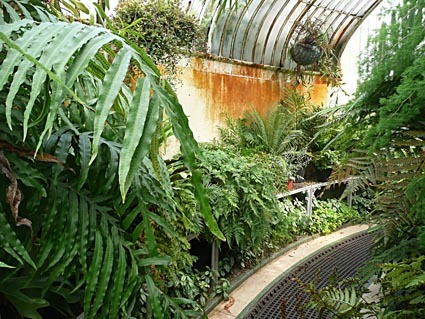 Belfast Botanic Gardens has a notable collection of tropical and sub-tropical ferns, housed partly in the Palm House and partly in the Tropical Ravine. 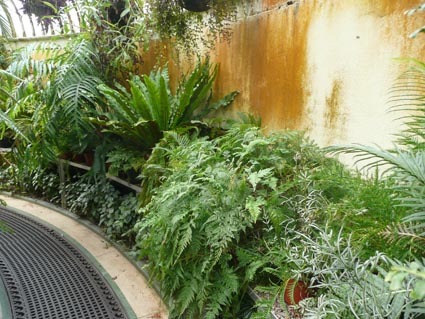 All ferns from the Tropical Ravine have been removed during building work for the restoration. These are currently being maintained and propagated in reserve greenhouses, ready for re-planting in the Ravine later in 2017. A selection of tropical ferns currently in the central part of the Palm House are shown below. Here are two of the tropical ferns at present in the Palm House. The first is Didymochlaena truncatula. 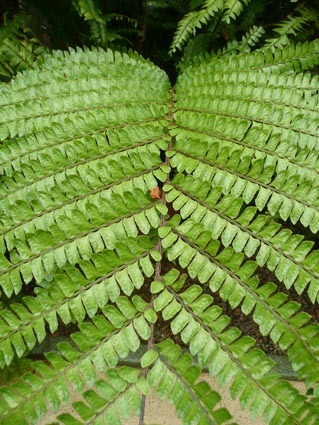 The Mahogany fern or the Tree Maidenhair. 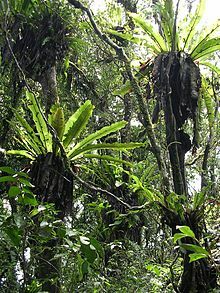 This is a terrestrial fern of deeply shaded moist situations in wet evergreen forest in Tropical Africa, sub-tropical southern Africa and Madagascar, Asia and America. 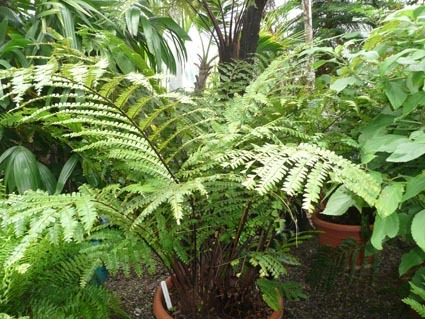 Although the fronds can grow up to 2.5m long this fern is sold as a house plant in the UK. 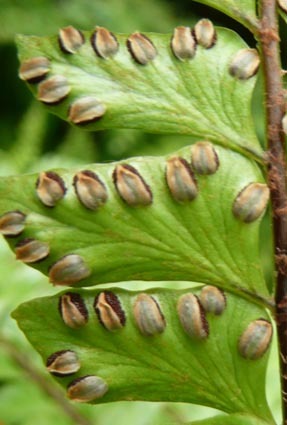 This fern has recently (2015) been moved from the Dryopteris family to a new family the Didymochlaenaceae. Didymochlaena truncatula. in Belfast Botanic Gardens Palm House Frond detail of Didymochlaena truncatula. Underside of frond of Didymochlaena truncatula. Sori on underside of frond of Didymochlaena truncatula. 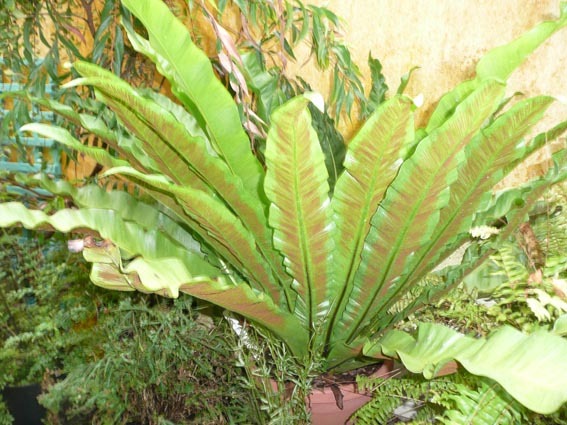 The second tropical fern is Asplenium nidus the bird's nest fern or nest fern. In contrast to the mahogany fern, this is an epiphyte. It lives on trees in wet tropical forest. It is similar to, but much larger than, the Irish native species in the same genus Asplenium scolopendrium. The Irish Asplenium is also often epiphytic, especially on oak trees in damp woodland.